Joel is an Associate in the Litigation Practice Group and a member of the Insurance/Reinsurance Industry Team and the Emerging Industries Team. Joel’s practice focuses on insurance non-compete and complex general commercial litigation matters. Joel also has extensive experience in White-Collar criminal investigations and post-indictment matters including allegations of Fraud, Theft, Embezzlement, Money Laundering and Anti-Trust Violations under The Sherman Act, Wire Fraud and private-sector Honest Services Fraud. As a former member of the FBI’s Cyber Crimes Task Force during his time as a prosecutor for the Cook County State’s Attorney’s Office, Joel regularly advises clients on data security incident response strategies and best practices, from initial discovery and computer forensics investigations through statutory /regulatory notification compliance and subsequent government investigation and private-party litigation. Joel is a regular speaker on Cyber-Security issues and best practices. He has presented continuing legal education seminars for attorneys, spoken to professional and trade associations as well as lead trainings for some of the nation’s largest retailers and law enforcement agencies at all levels of government. 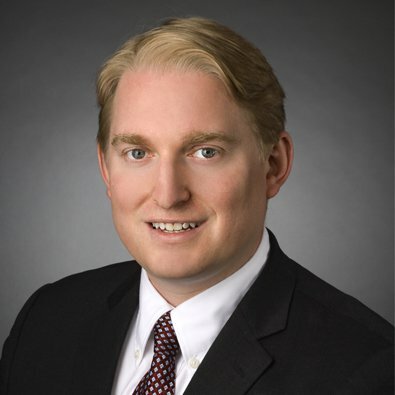 Prior to joining Freeborn, Joel was a member of the Cyber Sercurity & Data Privacy Practice Group at Wilson, Elser, Moskowitz, Edelman & Dicker, LLP. He also served as Assistant State's Attorney in the Special Prosecutions Bureau – Financial Crimes & Public Corruption Unit of the Cook County State's Attorney's Office. There he served as Squad Leader of the Cook County Cyber Crimes Training Workgroup and was a member of the Cook County State’s Attorney & FBI - Cyber Crimes Task Force. It’s a New Year and time for resolutions! One to consider is going on the Data Diet. As data continues to be the life blood of business, many nefarious threat actors continue to seek victims to target it for ill. To stay vigilant businesses need to take extreme account and ownership of their data and look for ways to shed unnecessary retention and moderate their consumption.